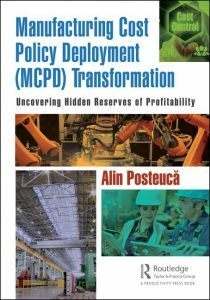 One board member had an opportunity to learn a unique company reestablishment story from a dealing bank in Japan. 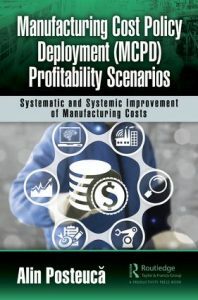 Then the board started to find the story and become to know that the company had implemented MDC as setting reasonable and/ or fair manning with reasonable engineering approach for shop floors with a unique management consultant support. A consulting firm basically never introduces names of consultant and phone number as corporate secret, but the board had made unbelievable effort to find a consultant and they succeeded to get the information. They got information, it was a particular methodology and the company decided to have the support of a unique consultant. A meeting with the consultants and a chief vice president was held. The vice-president explained full information, such as they required saving labour cost and then improving the corporate operating profit, increasing sales of their unique product in the world. One of the top managers’ concerns was that they did not know how far they could go by improving productivity. The management consultant was invited to make a MDC presentation for board meeting for one hour. Immediately after the presentation, the CEO made speech about necessity to inviting the management consultant. That is all manifest, the boards agreed without any questions. 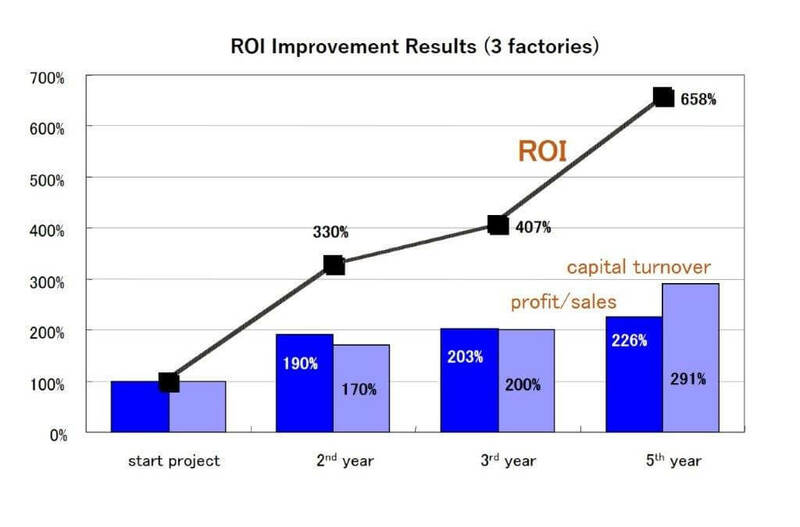 So, 377% productivity and 658% profitability improvement results. 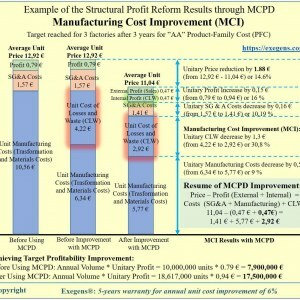 Labour cost share changed 18 to 4%, profit was 19 to 52%. 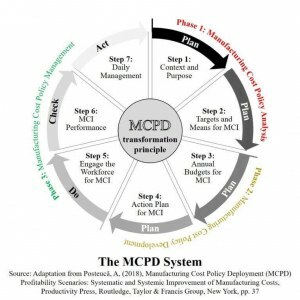 What elements are needed for business leaders and practitioners to have a great MDC approach to support reducing the required manning number? 1. 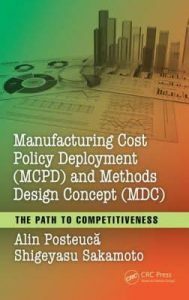 Manufacturing Cost Policy Deployment(MCPD) and Methods Design Concept(MDC), The Path to Competitiveness, Alin Posteuca and Shigeyasu Sakamoto, CRC Press, USA, 2017. 2. 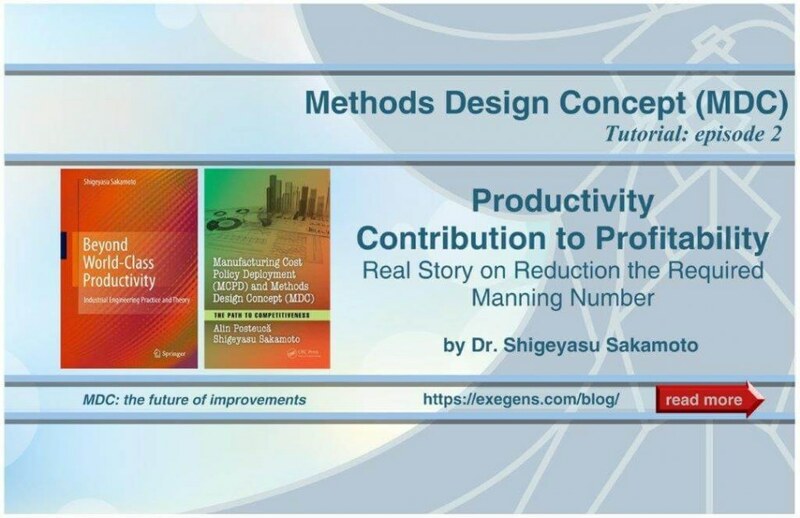 Beyond World-Class Productivity, Industrial Engineering Practice and Theory, Shigeyasu Sakamoto, Springer, UK, 2010. 3. Design concept for methods engineering in Maynard Industrial Engineering Handbook, the Fourth ed. Hodson, Shigeyasu Sakamoto, McGraw Hill, 1992. Dr. Shigeyasu Sakamoto is a management consultant in productivity and profitability improvement and president of Productivity Partner Incorporation - Japan. Before his current appointment, Sakamoto was vice president of Maynard MEC AB (Sweden) and vice president of JMAC (Japan). 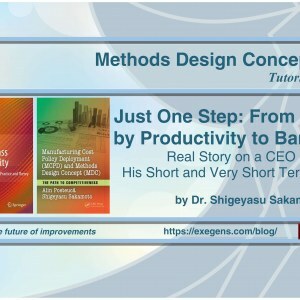 Dr. Sakamoto is a Fellow at the World Academy of Productivity Science. He received his doctorate degree of policy science from the Graduate School of Doshisha University in Japan and is certified as a P.E. by the Japanese government. He is also certified as: industrial engineer from the European Institute of Industrial Engineers, international MTM, method-time measurement instructor from International MTM Directorate (IMD), a MOST instructor from Maynard Management Institute and Work-Factor and Mento Factor instructor from WOFAC Corporation. He worked for the IMD as the technical coordinator responsible for developing a new system of MTM. Sakamoto is a senior member of the Institute of Industrial Engineers in USA. Dr. Sakamoto has more than 50 years of management consultant experience and he has very good feedback from his clients - top management - especially regarding the direct contribution to corporate performance with his own developed methodology of MDC, method design concept and work measurement rather than introducing a lot of fashionable topics. Basic industrial engineering technologies are not hackneyed. Effective results come when industrial engineers know how to use the technologies and demonstrate their abilities. This includes going back to the basics. 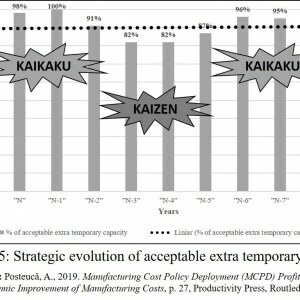 Dr. Sakamoto insists that the fundamentals for a higher level of Syakaku is only possible to reach through a higher level of profitability based on a higher level of productivity. 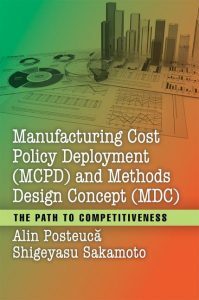 There are so many arguments and targets for improving productivity for the purpose of competitiveness in the world market. 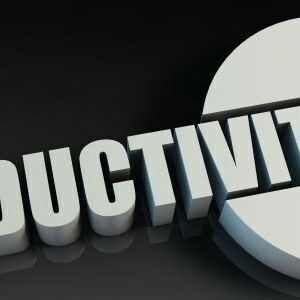 However, poor levels of productivity and profitability only compromise higher corporate dignity, which is Syakaku.